Melded into a river basin formed by the flows of glacial runoff, Blackwolf Run opened for play in June of 1988 and was named that year's "Best New Public Course" in the country by Golf Digest. Both the River and Meadow Valleys are regularly ranked in "America's 100 Greatest Public Golf Courses" by Golf Digest and the "Top 100 You Can Play" by GOLF Magazine. 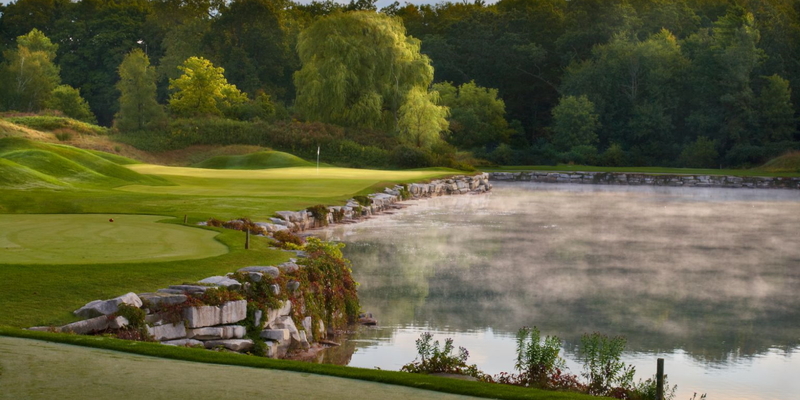 Regarded as one of Pete Dye's crowning achievements, Blackwolf Run has hosted a number of professional championships. The Andersen Consulting World Golf Championships in 1995, 1996 and 1997 as well as the U.S. Women's Open in 1998 and 2012. River course is one of the most challenging and scenic destinations in North America. GOLF Magazine says this course "must be considered the nation's finest public-access course of modern times." River course at Blackwolf Run was ranked #14 in Golf Digest 's ranking of America's 100 Greatest Public Golf Courses for 2013/2014. Located on Riverside Drive 1 1/2 miles south of the intersection of Highways 23 and Y.
Non-members interested in joining the club may stay on one occasion, subject to availability. For inquiries, please contact the Membership Coordinator, Amy Magee, via e-mail at amalia.magee@kohler.com or call 866-725-6453. Contact Blackwolf Run - The River at 888-416-4685 for more information and details on holding a golf outing at the course. 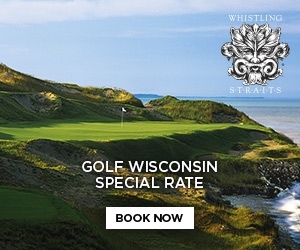 Located on the shore of picturesque Wood Lake, the Inn on Woodlake is a serene 138-room hotel boasting boutique style guest rooms, new multi-bedroom suites to accommodate up to eight golfers, an on-site putting green, all new meeting space as well as amenities and common areas for leisure and business travelers. During your stay, visit The Shops at Woodlake located next to the Inn, explore the Kohler Design Center or dine at Cucina Italian restaurant. For spa services at Kohler Waters Spa at The American Club, Kohler, Wisconsin, please call (800) 344-2838. This profile was last updated on 11/14/2018 and has been viewed 85,189 times.